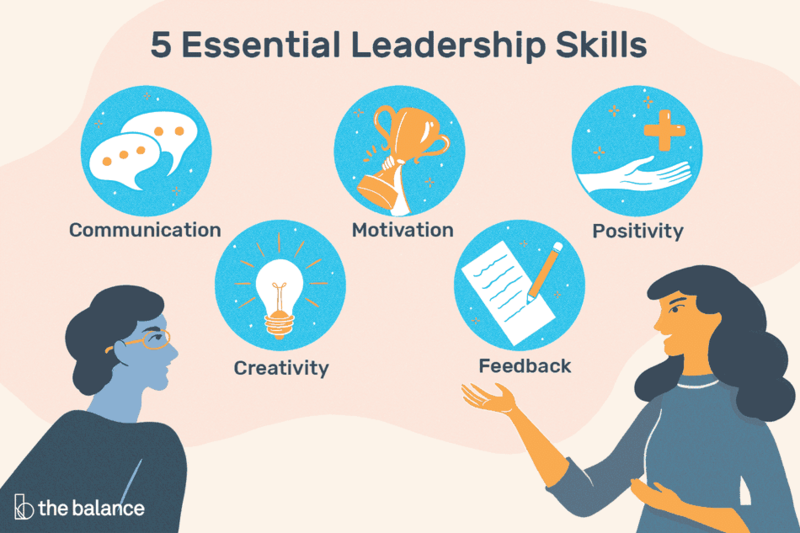 Whether one is an office manager or a project leader, all good leaders require a number of soft skills to help them positively interact with employees or team members. Employers seek these skills in the candidates they hire for leadership roles. Here are the top 10 skills that make a strong leader in the workplace. You can use the skill words listed below as you search for jobs. For example, apply the terms in your resume, especially in the description of your work history. You can also incorporate them into your cover letter. Mention one or two of the skills mentioned here, and give specific examples of instances when you demonstrated these traits at work. You can also use these words in your interview. Keep the top skills listed here in mind during your interview, and be prepared to give examples of how you've exemplified each. Each job will require different skills and experiences, so make sure you read the job description carefully and focus on the skills listed by the employer. These words will be especially useful when answering questions about leadership. Also, review our list of skills listed by job and type of skill. As a leader, you need to be able to clearly and succinctly explain to your employees everything from organizational goals to specific tasks. Leaders must master all forms of communication, including one-on-one, departmental, and full-staff conversations, as well as communication via the phone, email, and social media. Leaders need to inspire their workers to go the extra mile for their organizations; just paying a fair salary to employees is typically not enough inspiration (although it is important too). There are a number of ways to motivate your workers: you may build employee self-esteem through recognition and rewards, or by giving employees new responsibilities to increase their investment in the company. Leaders who try to take on too many tasks by themselves will struggle to get anything done. These leaders often fear that delegating tasks is a sign of weakness, when in fact it is a sign of a strong leader. A positive attitude can go a long way in an office. You should be able to laugh at yourself when something doesn't go quite as planned; this helps create a happy and healthy work environment, even during busy, stressful periods. Simple acts like asking employees about their vacation plans will develop a positive atmosphere in the office, and raise morale among staff members. If employees feel that they work in a positive environment, they will be more likely to want to be at work, and will therefore be more willing to put in the long hours when needed. Employees need to be able to feel comfortable coming to their manager or leader with questions and concerns. It is important for you to demonstrate your integrity – employees will only trust leaders they respect. As a leader, you have to make a number of decisions that do not have a clear answer; you therefore need to be able to think outside of the box. Leaders should constantly look for opportunities to deliver useful information to team members about their performance. However, there is a fine line between offering employees advice and assistance, and micromanaging. By teaching employees how to improve their work and make their own decisions, you will feel more confident delegating tasks to your staff. A leader is responsible for both the successes and failures of his or her team. Therefore, you need to be willing to accept blame when something does not go correctly. It is important for leaders to follow through with what they agree to do. You should be willing to put in the extra hours to complete an assignment; employees will see this commitment and follow your example. Mishaps and last-minute changes always occur at work. Leaders need to be flexible, accepting whatever changes come their way. Employees will appreciate your ability to accept changes in stride and creatively problem solve. Review more leadership skills, as well as some of the best skills to include on your resume and LinkedIn, incorporate them into your job search and career materials, and mention them during job interviews. What Are the Various Types of Persuasive Skills?